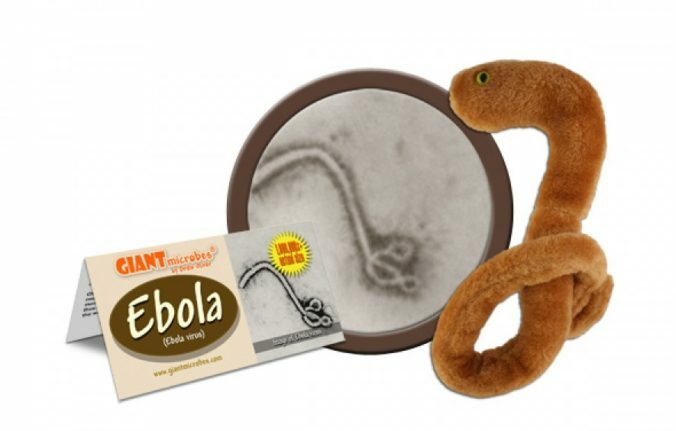 The real Ebola virus is far less plushy than this one. Ebola is back, but that doesn’t mean that the world should panic. A little more than a year ago, the World Health Organization (WHO) declared that the West African Ebola outbreak, which killed more than 11,000 people in the largest outbreak of the disease ever, was officially over. On May 11th, WHO announced that the Democratic Republic of Congo had identified 9 suspected cases of Ebola over the past three weeks. Three people had already died, and laboratory testing has confirmed that at least one of the cases has tested positive for the Zaire subtype of the Ebola virus. This is the first confirmed Ebola outbreak since the disease swept through Guinea, Liberia, and Sierra Leone. This also means that it’s the first opportunity for the international community to see whether it has learned anything from its past missteps. WHO came under widespread and massive criticism for its failure to respond to the West African outbreak in a timely fashion, and it pledged that it would change its processes to do better in the future. Sadly, WHO now has a chance to put its promises into action. Where is this outbreak happening? 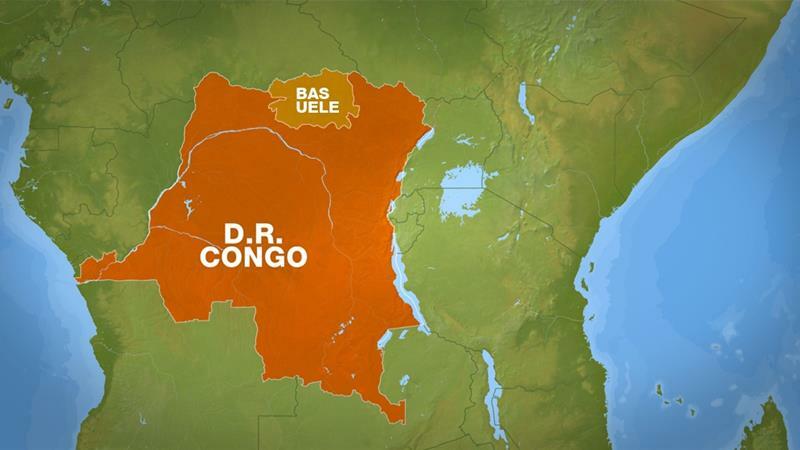 All 9 cases so far are in Bas-Uele Province in northern DRC. It’s the part in the orangish-brown on the map below. Bas-Uele borders Central African Republic and is pretty close to South Sudan. Does that mean this outbreak will cross borders, too? More importantly, the outbreak is happening in an area of the province that is difficult to access. That could make it difficult to get additional supplies to the region, but it also makes it far less likely that the disease will spread far. But this is the DRC. Are they equipped to handle something like this? Probably better than anyone else. 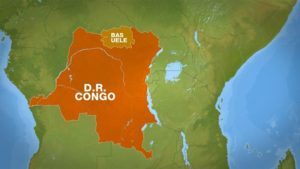 The DRC has experienced Ebola before. The disease was first identified in the DRC—back when it was still called Zaire—and it got its name from the Ebola River near the site of the first recorded outbreak. Can you give me any reassurance? Sure. In 2014, as Ebola was taking root in West Africa, there was also an outbreak in the DRC. Sixty-nine people got sick, and 49 died. I didn’t hear anything about that! That’s right—and that’s a testament to how well the DRC handled it. A study in the New England Journal of Medicine specifically cited the country’s previous expertise with the disease as one of the key factors that stopped the outbreak before it spread too far. What steps have been taken so far? The most important one is letting the world know. Under the International Health Regulations (2005), countries are required to report outbreaks of Ebola to WHO—and the DRC did just that. Letting the world know in a timely manner is vital for mobilizing resources and implementing an effective response plan. The international community is responding quickly. WHO is deploying specialists to the region and regularly tweeting updates about the outbreak. Matshidio Moeti, the head of WHO’s Regional Office for Africa who took the role in the midst of the West African Ebola outbreak, has already arrived in Kinshasa to coordinate the international response. Oly Ilunga Kalenga announced the outbreak in a nationally-televised address, and organizations are working to ensure that personal protective equipment gets delivered soon. We’re also already seeing organizations like Doctors Without Borders, UNICEF, and the Centers for Disease Control and Prevention work together. And we have a vaccine for Ebola now, right? We think so. In December, a study showed that rVSV-ZEBOV is 100 percent effective against Ebola. That’s obviously incredible news, and gives us a tool we didn’t have before. Thanks to an agreement between Merck (rVSV-ZEBOV’s manufacturer) and the Gavi Alliance (a public-private partnership that works to ensure access to vaccines), 300,000 doses of the vaccine are available in the case of an emergency like this outbreak in the DRC. Why the note of caution? Well, this is the first time that the vaccine will be used in a real-world situation, and there are still questions about the vaccine. It’s not entirely clear yet how long it lasts or whether boosters will be needed. It’s also still technically experimental, since it hasn’t received regulatory approval yet. Does WHO have its act together now? This is another real world test. WHO really took it on the chin in the aftermath of Ebola, including at least six different independent panels and reviews. There have been a lot of calls for reforming WHO, but those haven’t translated to policy changes yet. For instance, when WHO Director-General Margaret Chan asked members to increase their annual assessed dues by 5 percent in 2015, they turned her down (though she plans to ask for a 10 percent increase in the upcoming World Health Assembly). No, but all hope is not lost. WHO received a lot of praise for its response to the Zika outbreak. Zika and Ebola aren’t the same, of course, but WHO seems to have internalized the message that it needs to act more quickly and aggressively to stop outbreaks before they get too far. WHO can also partner with Jean-Jacques Muyembe-Tamfum, the head of the DRC’s National Institute on Biomedical Research. He has worked on nearly every Ebola outbreak in the DRC, and he has the ability to go into local communities to get their assistance on implementing effective policies. I thought you’d be reassured. So what’s the takeaway at this point? It’s unfortunate whenever there is an Ebola outbreak, but there are a lot of reasons to think that this one might not be a repeat of what we saw in West Africa. At the same time, we have to be vigilant. As Laurie Garrett reminds us, every Ebola outbreak starts with a single case. The current outbreak will be a real-world test to see whether the international system can do better in responding to outbreaks before they get out of hand—a high-risk test with major implications for all of us. Is the Liberal World Order Finished?